Well it’s been quite a month since my last post. In early September I was hit by two Category 5 hurricanes at my home in the Virgin Islands. Pretty scary when you have 150-200mph winds and you’re hoping the house you built can withstand it all. My home held up great, but someone else’s roof hit me in the peak of the storm and blasted a hole in my roof. Well at least we had plenty of spare roof tin lying around to patch my roof with when it was all over!! But quite an experience, especially the aftermath when you are on a small island that is totally devastated. It becomes basic survival living, with no power for months, uncertain fuel and food supplies, neighbors all chipping in and helping each other, lots and lots of hard work, and learning how to get by with very little. But this is all a part of living in paradise, and hopefully we will come back smarter and stronger in the end. With our airport wiped out, I now had a slight issue with getting to my next event in Spain nine days later! Eventually I went by boat to Puerto Rico that had a functioning airport (at the time) and made it to Spain only one day late for training. This was our final regatta of the 52 Super Series on Provezza and we were laying in 4th for the season, with a big gap in front of us to 3rd, but only a small gap behind with several teams chasing us. The regatta was in Mahon on the island of Menorca, which is my new favorite place in Europe, but the conditions this late in the year can be quite unstable. We had great winds for our training days, but very tricky and unstable conditions for most of the regatta, making the tactics very difficult. We sailed a pretty good regatta, had our fair share of bad luck, finished 6th, but took care of our #1 priority of beating our closest rivals in order to hang on to our 4th position for the season. This is the best ever result for our team in the 52 Super Series, so we are pleased with the final outcome, and the upward trend in our performance. So a very enjoyable and successful race season in 2017, and many exciting projects to look forward to in 2018. Just back from the first ever J Class World Championships, in Newport, RI. Absolutely one of the most incredible experiences of my sailing career. These are rebuilt originals or newly built replicas of the majestic 130ft J boats that were raced in the 1930’s Americas Cups. There has been a revival of the class, with up to eight of these boats now being actively raced. The class rules allow you only to build to original hull design plans, but you can use all modern technology for rigs and sails. So we now have this beautiful blend of old world design, mixed with the latest modern technology, and being raced as hard as you possibly can by some of the sports best sailors. It is an experience like no other. Absolutely the most challenging/scary/pleasurable driving role I have ever had, and some of the closest racing ever. All in some of the most beautiful sailboats ever designed. Quite the combination. I sail onboard TOPAZ with a crew of over 30. This is only our third event together, and we still have hundreds of small steps to get this complicated boat even close to it’s full potential. LIONHEART from Holland has been racing for 5 years and have a very complete package of boat and team, and they sailed very well to win the event. We finished fourth, but managed to win 2 of the seven races, so we had our moments of joy. 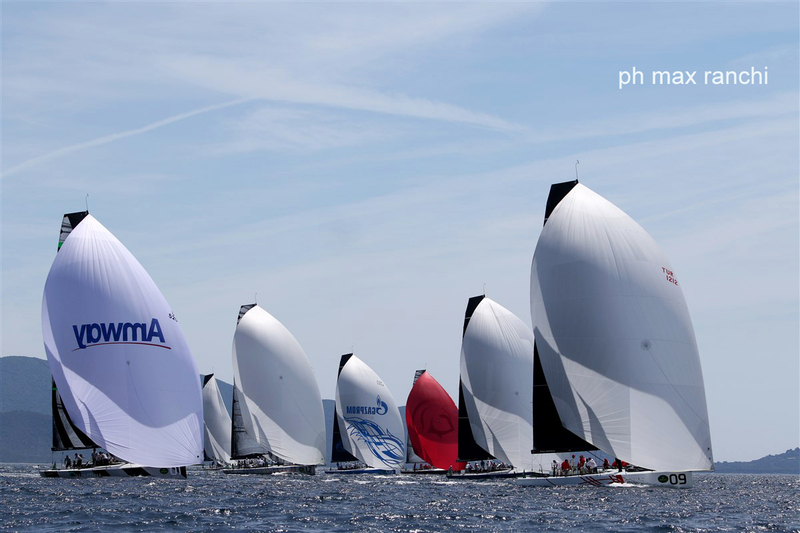 Up next for me is the final 52 Super Series event of the year onboard PROVEZZA in Mahon, Menorca, Spain in late September. We won our last event and so are hoping to continue the momentum and finish the year strong. Traveling home now after finally, finally, wining a TP52 Super Series event in Porto Portals, Majorca, Spain. I say finally because we have been within reach on the final day in 4 of this year’s 5 events, but just couldn’t manage to close strong and win. But at this event we finally put it all together, and had the confidence and speed on the final day to get the job done. I am particularly proud and happy with this win. 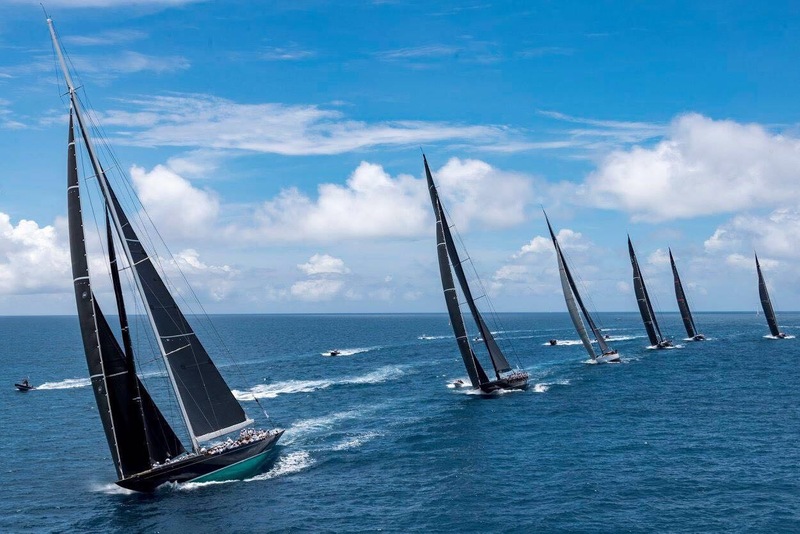 First because it is the TP52 Super Series, which is the absolute highest level of big boat racing that exists today. Second, because of the great team that I achieved it with. PROVEZZA is a Turkish team crewed by a mix of amateur Turkish sailors and several pros like myself. To win against some of the all-pro teams that we were up against, brings back that special fight and reward of beating higher ranked teams, similar to what I tried to do from my little Virgin Islands nation. And finally, to win for Ergin Imre, the owner of our team, and one of the nicest gentlemen in the sport of sailing, proves that good guys really can win. So headed back home now for two weeks and then it’s off to Newport, RI for the J Class Worlds on the mighty TOPAZ. A couple weeks later it will be the final race of the season on PROVEZZA in Menorca Spain. A busy time of year, but I love it; the challenge, the competition, the people, and the traveling to great places. Feeling most fortunate. I had two great events in March. First up was the Miami 52 Super Series on the TP52 PROVEZZA. It was another close one, where it all came down to the final day to determine the top five places. Our goal this year is to sail conservatively, minimize risk, and try to benefit from good average results. There are no discards during a regatta, or for the overall annual series, so avoiding a bad result is as important as winning one. It is a long series and we are a new team that is striving to improve with each event, so if we can achieve that, we will be satisfied. We finished on the podium in third, which is one better than our first event in Key West, so the team is satisfied and eager to keep improving. We are now building a new keel fin that we hope will bring a nice performance gain and help our chances in the coming events. Next up is the TP52 World Championship in Scarlino Italy in mid May. 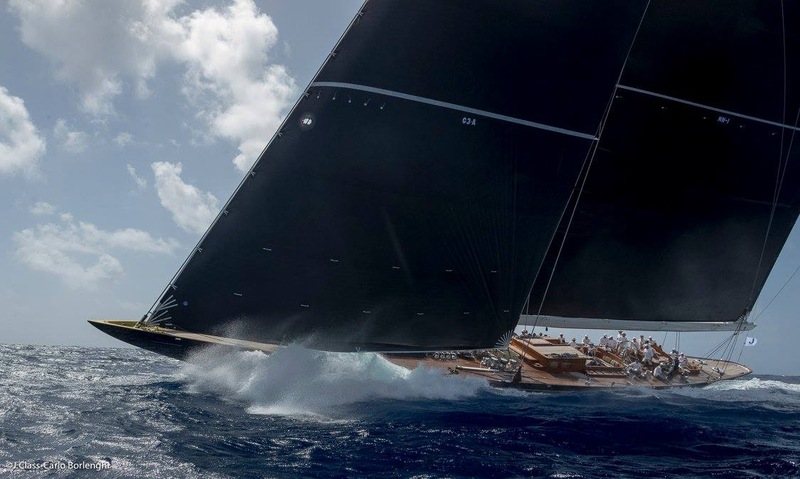 My second event in March was the St. Barths Bucket on the mighty J Class TOPAZ. 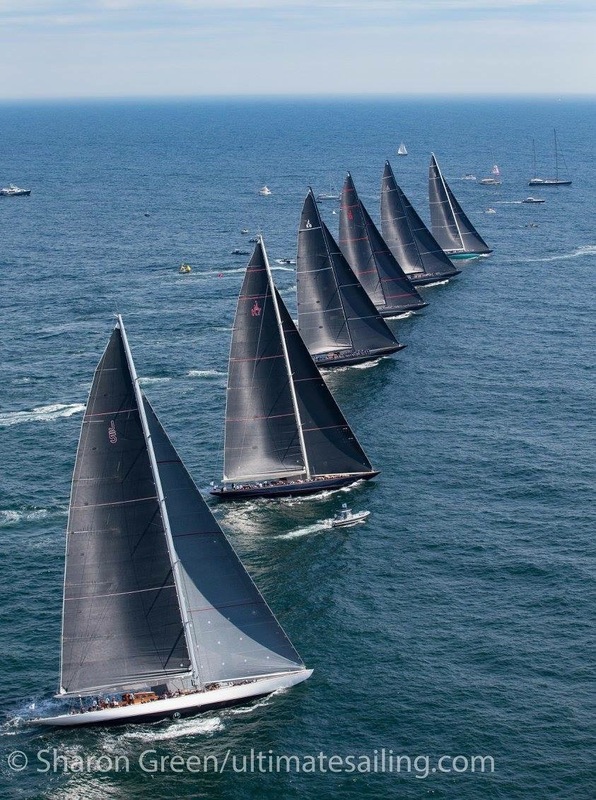 There were five of these magnificent J Class boats racing together on a combination of windward-leeward and around the island courses. It was some of the most incredible and intense racing I have ever done. The challenge of racing these yachts is as tough as any class of boat I have ever sailed. Strike that, it is tougher! 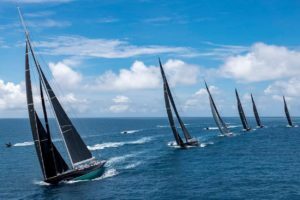 Thirty crew, 140 foot full keel yachts that turn slowly, huge sail plans and loads on everything, and four other teams that are all out to win, makes for down right scary racing. 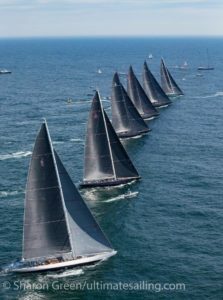 But when you stop and look around, and realize that we are replicating the racing they did back in the early 1900 America’s Cups, on some of the most beautifully restored yachts ever built, you have to realize that it is an absolutely incredible life experience. The racing was great, super close, and our team did a great job getting us around the course without any incidents. We are a new team so must be content with a 4th against the others that have been at this for several years. These are very tricky boats to master, so we have a great challenge ahead of us learning with each new event. Next up for us are two events in Bermuda in June during the America’s Cup. Should be very interesting to race our 1930 vintage yachts around the foiling cats of todays Cup. I hope they are not too upset that we will have more entries in our J Class, than they have in the actual America’s Cup !! !